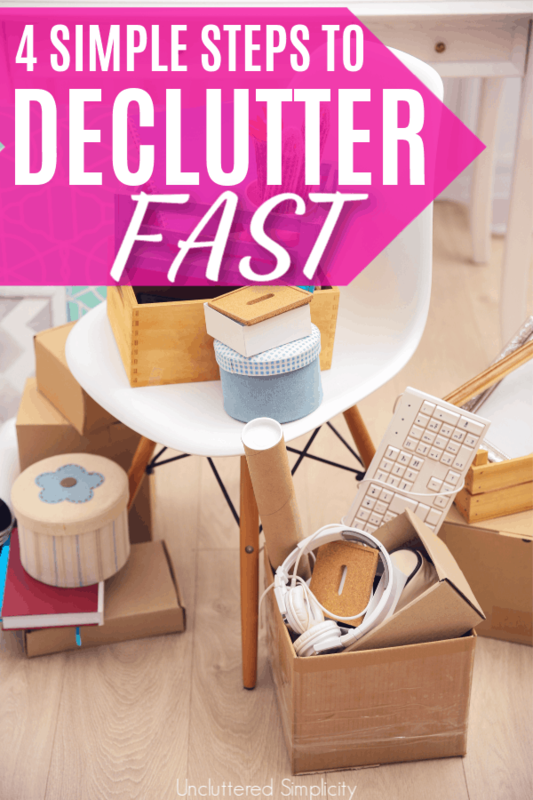 If you are currently fighting the battle to keep clutter from overtaking your life, you’ve probably researched popular methods for decluttering. Maybe you’ve even tried a few of them with varying degrees of success. But, have you considered the Shock Treatment Declutter Method? Probably not, because it’s a method designed by me and I have not shared it with anyone else. Until now. I’m sure the words “shock treatment” conjure up negative images in your mind. After all, shock treatment was (and occasionally still is) used as a last-ditch method to help people who suffer from psychiatric illnesses. Basically, seizures are electronically induced in the patient in order to somehow reset the brain thereby treating forms of major depressive disorder, catatonia, and mania. I promise, my shock treatment declutter method doesn’t cause seizures. In fact, it’s (fairly) painless, and can be completed in only four steps. If you’ve read my post on decluttering your wardrobe, then you already have a sneak peek into my shock treatment declutter method. However, I did tone down the method for that post. I didn’t want to scare anyone off! In this post, I will lay out the whole method for you. 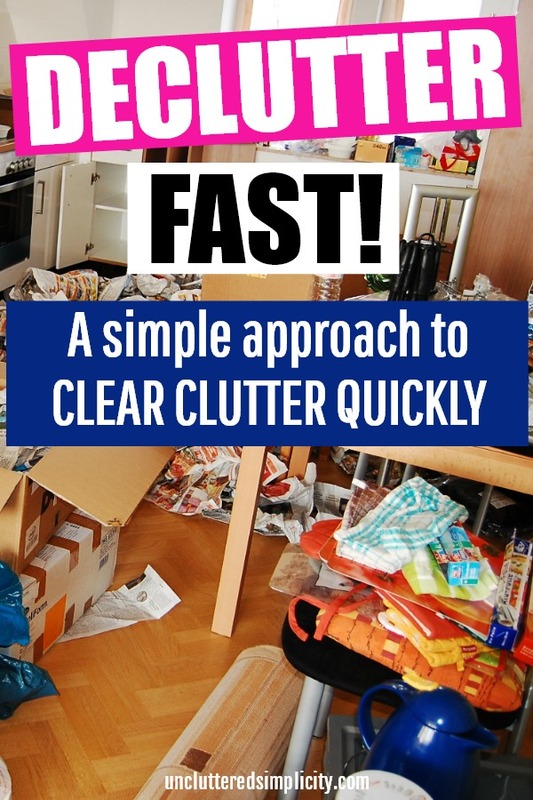 Disclaimer: the shock treatment declutter method is ridiculously simple and incredibly challenging. Consequently, it’s not for the squeamish or faint of heart. Read on (if you dare). The first step in my shock treatment declutter method is to lay everything out in front of you. This is where the “shock” of it all will come in. Whether you choose to declutter by room or by category, everything in that room (or category) must be gathered together in a separate location where it will later be evaluated. Say your goal is to declutter your son’s (or daughter’s) room. The very first thing you need to do if you truly want a clutter-free space is to remove each and every item (except for heavy furniture) from his/her room and place it in another area for sorting. This area can be your dining room, living room, another bedroom, or even outside (if the weather is nice). As you remove each item from the room, sort it into categories as you go. For example, all decorative items will be placed together, toys will be grouped accordingly, and paper items will be stacked in a separate pile. As a result, if you’ve followed my advice, you will be left with a (practically) empty room. A blank slate, if you will. Now is the perfect time to clean that room. Before placing anything back into it, dust off all surfaces, including the ceiling, walls, baseboards, and blinds. Give the windows a thorough cleaning. Vacuum and steam clean (or mop) the floors. In the meantime, while you wait for the floors to dry, move on to step two. The second step in the shock treatment declutter method is to survey the damage. This step is essential as it helps you “put the brakes on” collecting any additional clutter. As a result of step one, most likely, the room you’ve chosen to place everything in will resemble a war zone. As you gaze upon the mountains of stuff, in addition to being shocked, you may also experience feelings of regret (for the money wasted), amazement (where did it all come from), and anger (at your failure to manage the clutter). These feelings are perfectly normal and it is vital you allow yourself to feel them. You need to accept the fact that money was spent, and now it’s gone. Allow yourself to be amazed at the immense amount of clutter residing in your home. Acknowledge the anger you feel (towards yourself or others) due to the fact that the clutter in your home has gotten so out of control. The purpose of gathering everything from one area of your home and moving it to another is that it truly allows you to “see” all of the clutter at once. If, you decided to skip step number one (don’t you dare), thinking you can just enter any room in your home and begin decluttering things one at a time, you will most likely fail in your attempts to do so. Why? Because when we leave clutter in its natural state, it has a way of blending into its surroundings. Sure, your kid’s room may look messy when you first walk into it, but I doubt it truly “shocks” you. Until you remove each and every item from its natural habitat and place it in a new space, you will fail to be shocked by the true enormity of it. **Have you read “Material World A Global Family Portrait” by Peter Menzel? If not, I highly recommend it. Peter and his crew traveled the world photographing the material possessions of families across the globe. Additionally, he did it in a visually shocking way. The photographers removed every item from the subject’s home and placed it outside, in front of the home, before recording it. If you truly want to be shocked, all you need to do is compare the belongings of a family in Mali to one in the United States. The third step in my revolutionary shock treatment declutter method is to eliminate anything you do not need, use, or love. Set aside as many boxes and garbage bags you think you’ll need for this step. Be absolutely ruthless in your decisions and do not second-guess yourself. If an item is broken or otherwise useless to someone else, throw it away. Keep anything you need or love, and discard the rest. It really is that simple. Be realistic in terms of what you decide to keep. If you lack the space to comfortably store it or the time to properly maintain it, let it go. It doesn’t matter how much money you spent to acquire it or who gave it to you. If you don’t need it or love it, rehome it. An important thing to mention as you complete this step; do NOT get rid of anything that does not belong to you without first getting permission from the person who owns it. If you have children who are emotionally mature enough to make a decision, be sure to include them in the decluttering process. Never, ever dispose of your spouse’s belongings without consulting them first. Even if you “think” they don’t need it. Trust me, I’ve been there, done that, and suffered the ensuing fall-out. Allow me to save you the stress. The key to this step is to actually eliminate the items you have chosen not to keep. I don’t care which method you employ when disposing of your clutter. You can sell it, donate it, recycle it, burn it, whatever. Just be sure you remove it from your home in a timely manner. Set a deadline (say one week) and make sure you have kicked your clutter to the curb by the end of that week. Another, less shocking way, to accomplish step three is to keep what you need and love and box up the rest. Put the boxes somewhere you won’t trip over them (eg. the garage). Only open the boxes if you discover you absolutely need something. Set a deadline (a month or so) and be sure to eliminate the clutter before the end of that time period. The final step in the shock treatment declutter method is to find a home for all that remains. If you have followed my advice and only keep what you need and love, this step should be a breeze. Showcasing your most valued items will not be difficult because you have freed up so much space. Perhaps you will need to purchase some attractive storage solutions for the items that remain. Go ahead, you’ve earned it. *Click here for some of The Best Home Organizing Solutions known to (wo)man. Your goal for organizing your new space should be to have it serve your needs. Your home does not need to be Pinterest-worthy! It simply needs to be worthy of you. So, you’ve made it to the end of shock treatment declutter 101. You are very brave indeed! Therefore, I officially declare you a graduate of the course. I now challenge you to put what you’ve learned into action. If starting with an entire room intimidates you, start with a single category instead. You can apply this method to a junk drawer, closet or single cabinet and slowly work your way up to a larger space such as a bathroom, bedroom or living room. Don’t be scared! I’ve given you the tools you need to effectively declutter your home.